This is an important article for you to read, particularly if you are an Executive Director or Board Member of a Non-Profit. Whether you are an ED / Board Member or a first-year development associate, the message I want to send to you is simple: it is highly likely that your non-profit is underpaying its development staff. That being said, don’t get the wrong idea about this article. The purpose of this article is not to talk about how hard development staff members work and what sacrifices they make to be in the non-profit world, doing good work that matters. All of that may be true… you may have an exceptionally hard working fundraising team that is underpaid for the amount of work they do. Or not. Your team probably made sacrifices to work at your non-profit, and could earn more in the for-profit world. Or not. That’s not the point of this article. 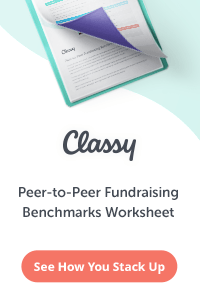 The point of this article is to tell you that fundraising is a skill. It’s learned. It’s hard. And your non-profit needs it, maybe more than you think. 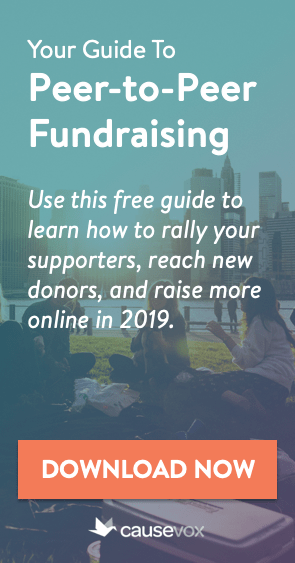 Most non-profit Executive Directors don’t like to hear this, but I’m going to say it anyway: fundraising is the most important thing your non-profit does. WAIT! You say. What about the services we provide? What about our mission? Surely feeding the homeless (or caring for the sick… or whatever your mission is) matters more than fundraising! NO! I say. It doesn’t. Without fundraising, you can’t feed the homeless or care for the sick. Without fundraising, you can’t carry out your mission. Without fundraising, your non-profit doesn’t exist. Without enough fundraising, your non-profit barely exists, as if on a subsistence diet, barely staying afloat, never moving forward. You may have the best fundraisers possible. You may not. Your development team may be rockstars. Maybe not. 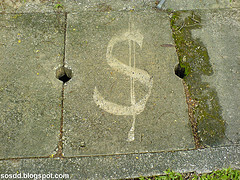 No matter the current situation at your organization: you deserve the best fundraisers possible. Why then, do so many non-profits skimp on fundraising? 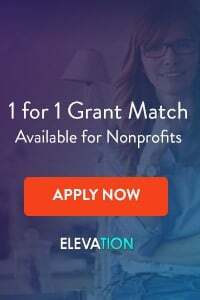 Why do organizations that raise $1 million a year say they can’t afford a full time Development Director, and why do some organizations always choose to add program staff before adding a new development person? Everything you do depends on your fundraising. And you deserve the best fundraisers possible. The best businesses see their sales staff as an investment… they know that if they hire X new salespeople, they will bring in $Y. They see their sales staff as part of an equation. Good salespeople are hard to find. So when we find one, we need to pay them what they are worth in order to keep them at our company. We need to fulfill their other needs as well… keep them interested, engaged and happy. The same is true of the best non-profit organizations. They realize that good fundraisers are hard to find. Mediocre fundraisers (like mediocre salespeople) are a dime a dozen. When they find a great fundraiser, they pay them what they are worth. They give them responsibility, keep them interested, engaged and happy. To paraphrase Thornton Wilder’s Our Town, there are some things we all know, but we don’t take them out and look at them very often. One thing that non-profit leaders and boards know, but they don’t like to look at and talk about, is that development is a skill… a marketable skill… one that’s worth a lot of money. A skilled fundraiser can move to another non-profit at any time. There is always an opening for a successful fundraiser. Good fundraisers don’t take jobs where they can’t afford to buy a house and send their kids to good schools. Sure, when they first start out they do… they get their feet wet at an organization as a junior development staffer and learn the ropes. Because what they know and what they can do (fundraise) is worth a good living. So why do so many non-profits think they can find a strong, talented Development Director with 5 years of experience raising five and six-figure gifts, and pay them about the same as what the receptionist makes? And why are these same organizations surprised when the person they hire doesn’t work out… doesn’t have what it takes… can’t really build six-figure relationships? If your organization’s Executive Director is making $150,000 per year and the top development staff member is making $60,000 per year, your non-profit is in trouble. Likewise, if your organization is raising $5,000,000 per year and you only have one full-time development person, your non-profit is in trouble. Under either scenario, you will never raise what you really could and should raise, and never do all of the good that you really could do, simply because you aren’t making a big enough investment in your development organization. You aren’t paying your development staff enough. You aren’t thinking big enough about fundraising. And you won’t achieve all that you want to achieve. Now is the time to change all of that. Now is the time to cast a broad vision for your organization… and for your development staff… and to back up that vision with the resources that will allow you to meet your ambitious goals. Previous post: What Exactly Should My Non-Profit DO on Social Media?